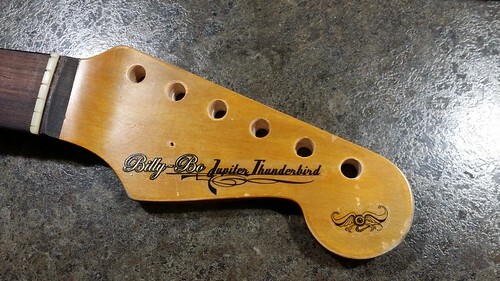 A OSG forum bud posted a link to some ebay auctions with this guy doing Jupiter Thunderbird style bodies made for bolt on necks. 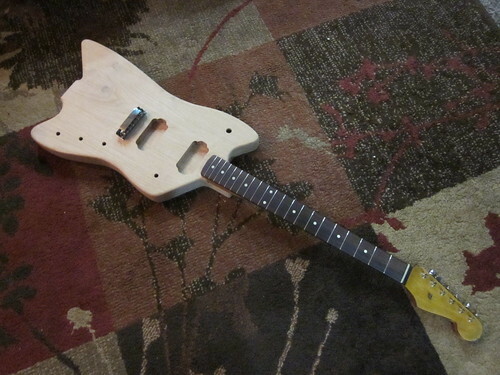 I love me some bolt on goodness and had a nice neck sitting around, so I messaged the guy about building me a body. His had tele neck pockets on ebay and I wanted a strat one with humbucker routs so he went ahead and put one together for me. It is alder. 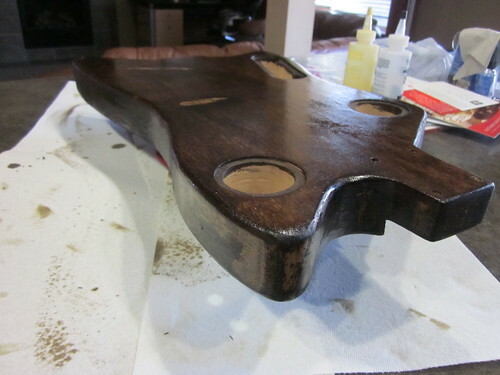 Because it didn't have the bridge holes drilled, I was nervous and decided I would just pick up a Rik style bridge. 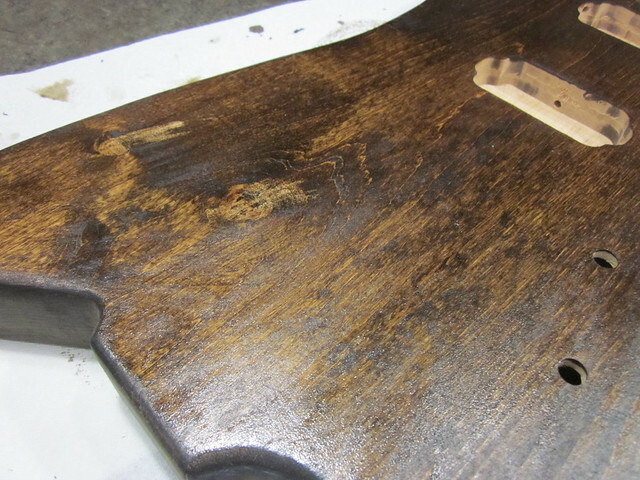 That way I can intonate it, mark where the bridge is and drill the plate in the best location for the guitar. 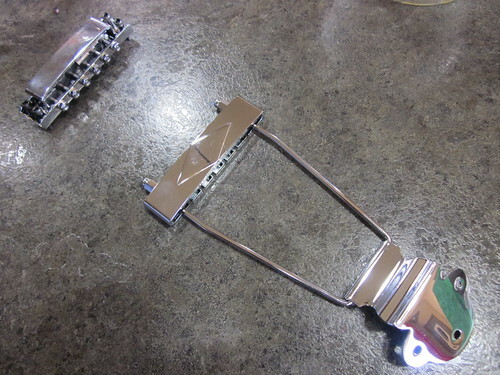 I also have a trapeze tailpiece on the way. I was so excited to get it today that it is already stained. BTW the Allparts neck fit the pocket perfectly. 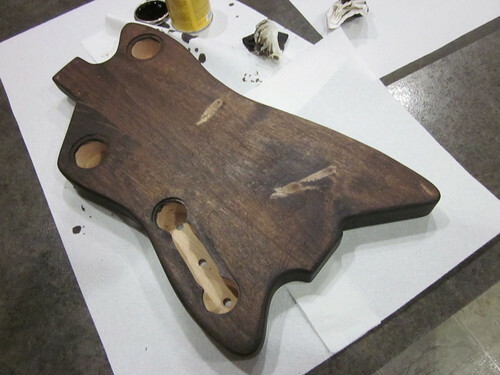 I was surprised because I thought I would need to do some sanding. I was so excited to get it today that it is already stained. I thought you meant something else. Then I saw the pictures. Looks kool! I've always been a fan of these! 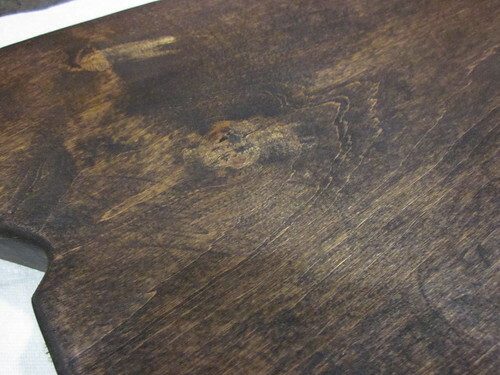 What other plans beside the stain do you have for it? 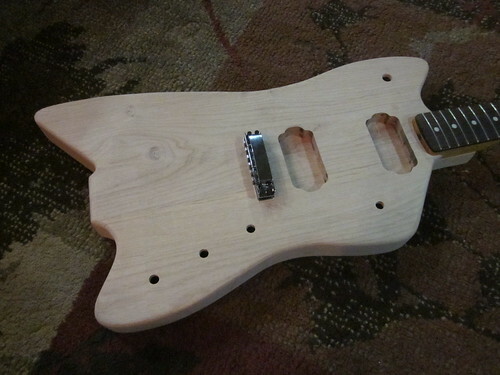 I wonder if you could make a shortscale bass (or a Bass-VI *gasp*) out of the body..
Not sure if you can make a bass out of one. I don't see why not since there is a Jupiter bass. I am sure the guy could route the body however you wanted to. He was pretty open to custom work with them. 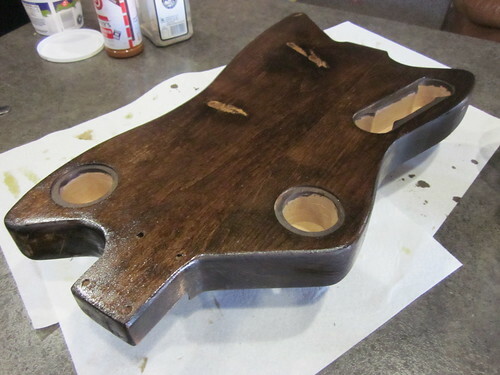 Put this together for my headstock. Not sure if gold or silver would be better. Jim knocked it out of the park. Go gold+silver. I'm not sure how I feel about that. It's unique, I'll give you that. Thanks! 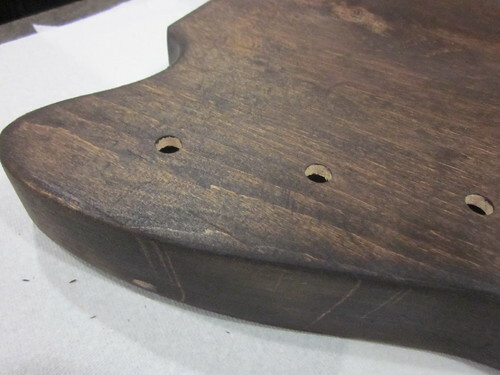 I am normally nervous about set neck guitars because if there is any issues with the neck being damaged or broken, you are kind of screwed unless you want to remove the neck and purchase and finish a neck to fit it. Bolt ons appeal to me because you can pretty much buy a variety of priced necks that are different styles and such and just add it on with four screws. The headstock doesn't look like the Gretch one, but it isn't like that quirky body has a headstock that just screams to fit. Another one of my mutts I suppose. Last night I used zpoxy on the front. 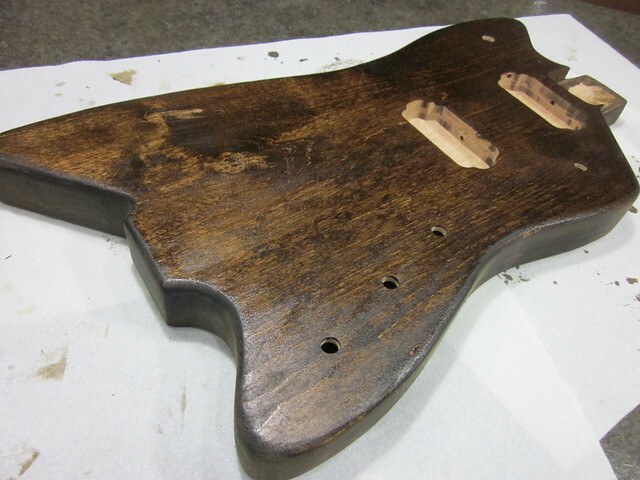 Tonight I will do a coat on the back. It really warmed up the color. Tweaked the logo a bit and found a fun image to go on the round part of the strat headstock. I have been meaning to ask, what program do you use to do the fonts? 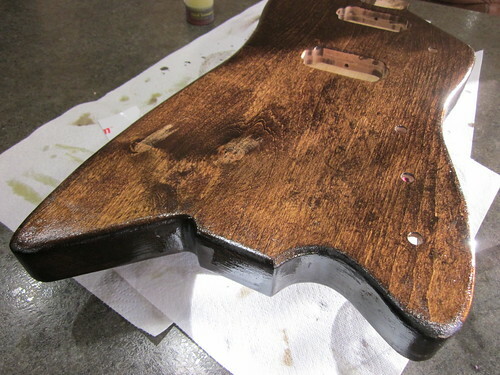 First coat on the sides are done and I did the second coat on the back. Looking good! 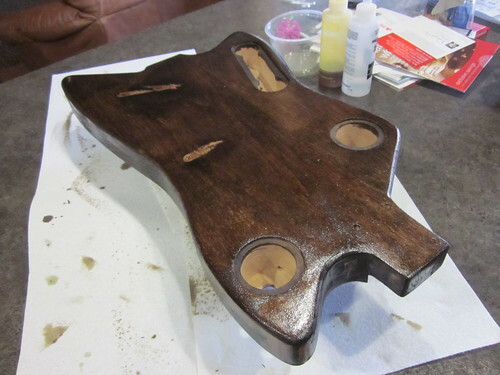 Did the second coat of ZPoxy on the front and sides. 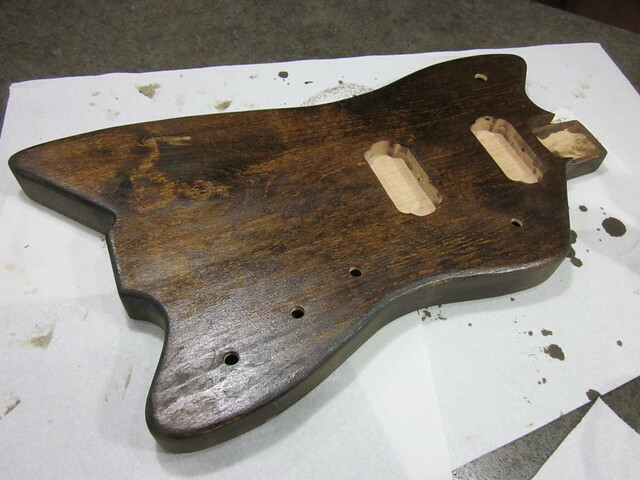 Just have to let it dry before I can lightly sand it smooth and start spraying clear on it. The bridge and tailpiece I have for it. Got the decal inked and applied. I like it. Love the flying eyeball and pinstriping. Thanks! 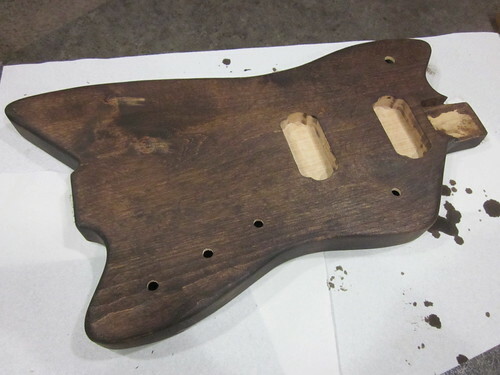 I got the clear coating done last night and now it is just getting dry before I smooth it out and put the tuners and parts back on the neck. I have been sick all week. 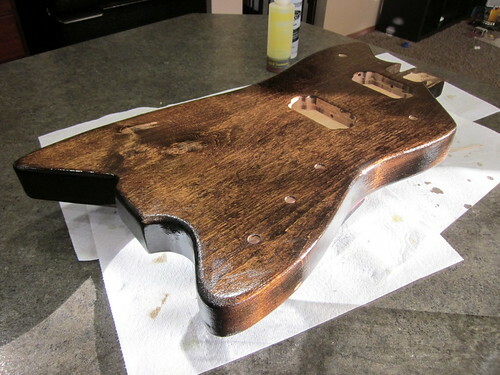 If I feel better this weekend I might prep the body for clear coats. The way the back is, it looks like a neck pocket that isn't routed. lol. Would make a cool double neck.